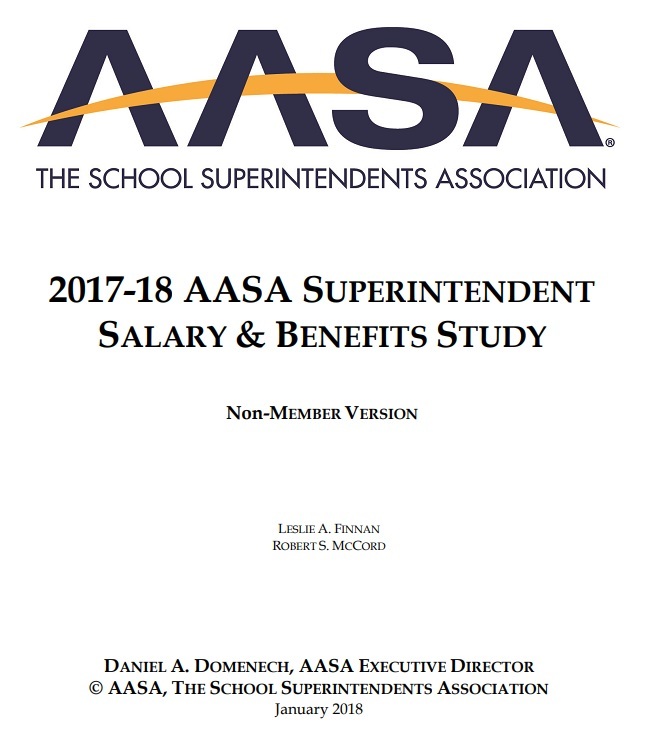 The AASA New Superintendents E-Journal is a quarterly electronic newsletter written specifically for those who are in their first months and years of the superintendency. Even if you are a veteran superintendent who just landed a job in a new district, these e-journal articles provide a refresher course on issues to keep front and center during the early tenure of your new post. Bob McCord, editor. All AASA members will receive this journal. 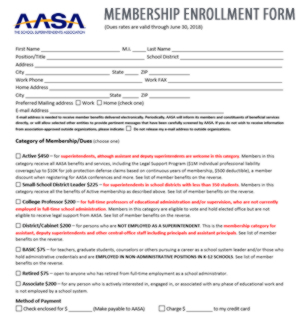 If you did not receive it you may send your subscription request to members@aasa.org. 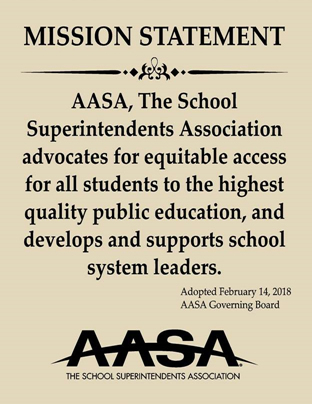 "Communicating Student Achievement in a Time of Change: Assessment Can Help"; "Creating Conditions for Success for New Teachers"; "Lifelong Learning: Reflections on the AASA National Superintendent Certification Program"; "Superintendent Discourse: Considering The Perfect School Board Member". "The Power of “Process” for Superintendents"; "Why Parents Choose Virtual Education for At-Risk High School Students: How Do We Support Them?". "A Road Map to National Superintendent Certification"; "Survive and Succeed: How to Make it Work With Your School Board"; "Technology in the Classroom: Necessary Not Revolutionary". "A Leader Please ... Finding Effective Leadership in Uncertain Times"; "The District Office's Role in Supporting Student Achievement". "Make Yourself at Home: Educators Helping Homeless Students"; "Seeing the Forest Through the Trees"; "Technology-rich Classrooms: How Districts Can Infuse Laptops into Classrooms in a Cost-effective Manner"; "The Superintendent and School Board Attorney: Selecting, Contracting and Working". 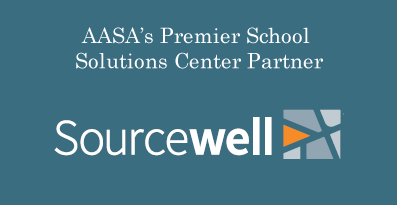 "Launching Leadership"; "Superintendents Supporting High Poverty Schools: School-based Social Services Coordination"; "Teacher Ratings in a PLC World". "Successful District Leadership Interview With Michael Fullan"; "Considering the Community Classroom"; "Pray to our Gods: The Marginalization of Practice in Departments of Leadership and Policy". 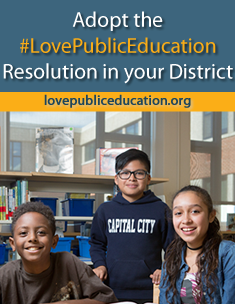 "The Connection Between Desegregation and Early Childhood Or If You Build It, They Will Come"; "Cross-School Teacher Evaluation"; "Convergence of Positive Psychology, Emotional Intelligence and Coaching To Expand Leadership Capacity and Wellbeing in District"; "Time Saving Tips for New Superintendents: Don’t Go It Alone; Pick Up The Phone! "; "This is Not the Job I Applied For! When the Board that Hired You Doesn’t Seem to be the One You Actually Serve". 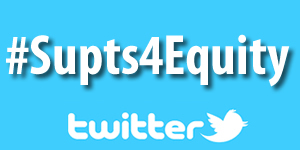 "The Autonomy Gap: Implications for Raising Student Achievement"; "Time Saving Tips for New Superintendents: Weekly Board Communication." "Building a Culture of Trust"; "Engaged Citizenship Through e-Service Learning"; "Living the Superintendency." "Addressing the Student Readiness Gap," "Be Available, Be Personable, But Don’t Take It Personally," "Get a G.R.I.P. on District Office Dynamics: You Need Grit, Relationships, Interactions, and Presence." "The Good News About Schools"; "Transforming a School District"; "The Seduction of the Leader: The Superintendent's Dilemma". "How Do We Evaluate Reflective Practice? First Define It"; "Advice for Superintendents: A Consultant's Perspective"; "Maximizing Gifted Students’ Potential in the 21st Century"
"Getting Clear About Directions by Tapping Into School Board Values"; "Getting Clear About Directions"; "Superintendent Evaluation: A Travesty that Need Not Be"; "Teamwork: Redefined"
"Leadership in an Era of Expanding or Diminishing Resources: Remembering the Statistical Phenomenon of Regression to the Mean"; "Building Trust With Your Board"; "Addressing Uncomfortable E-Mail Communications"
"Eight Tenets for Beginning Superintendents"; New Resource Provides Examples of How States are Improving Education Leadership"; "The Superintendent's Evaluation: Bridging the Gap from Theory to Practice"
"Leadership: An Agenda for School Improvement"; "Six Steps to an Effective Mentoring Program"; "Effectively Embracing the Political Challenges of the Superintendency"; and "Exerting Leadership Through the Budget-Building Process"
"New Report Calls on School Districts to Power Up High Schools"; "Look for Authenticity and Talents in the Principal Selection Process"; and "Navigating the Future in Education"
“The Principal Story"; Board–Superintendent Communication"; "Getting Control of the Message"
"Leading for Change"; "Interim School Superintendents"; "Mentoring New Leaders"
"Listening to the Next Generations;" "Data-Driven Leadership"; "Advice for New Superintendents"
"The MRSA Superbug: Prevention Through Protection"; "Networks as a Remedy for Superintendent Isolation"
"Building a Skill Set for Newly Appointed Superintendents: Managing the Challenges of a Budget and the Realities Associated with Emergency Response"
"Leading a Small District After Serving in a Big District: It Is a Whole New World! "; "Five Strategies for Building an Environment of Trust, Leadership and Cohesiveness"; "Lawyering Up: Finding the Right Legal Counsel for You and Your District"
"Bureaucracies and Learning Organizations"; "Building and Sustaining the Superintendent-Board Relationship"; "Building Political Affluence as a Superintendent"
"Culture and Context: Understanding Where You Are so You Know Where to Go and How to Get There"; "Creating a Transition Map for a New Superintendency: 7 Powerful Strategies"; "A Game Plan for Hiring Principals"
"Six Considerations for First-Year Superintendents"; "How Do You Know System Leadership Is Functioning in a School District? "; "Compressed Negotiations for New Superintendents"
"A Journey in Transforming School District Culture to Increase Student Achievement"; "Opening Day"; and "Whose World Am I About to Enter? Why Understanding the Culture Is so Critical"
"Making It Past the Pitfalls To the Promise: Strategic Planning"; "In the Trenches: Learning the Real District Story through Visiting Schools"; and "Productively Engaging the Media" are the articles in this issue. "Leading Systematic Self-Renewal"; "Agents of Change: Executive Succession and Organizational Change"; and "Inevitability of Change; Managing Change Through Self-Awareness" are the articles in this issue. "Listening to Lead"; "Building Bridges: Understanding the Culture of the Community the School System Deserves"; and "How to Write a Vision Speech" are the articles in this issue. 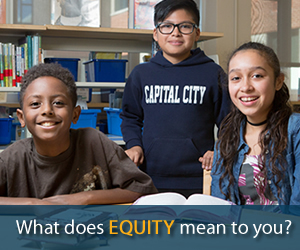 "Board – Administrator Relations: Establishing Trust"; "Developing an Understanding of Your New School District’s Culture"; and "How to Bring About Systemic Change in a School System" are the articles in this issue. "School System Change: From the Inside Out"; "Effective Strategies for Working With the Media"; and "Systemic Change" are the articles in this issue. "Essentials of Effective School Leadership Today"; "Systemic Change for Continuous Improvement"; and "Board-Superintendent Relationships: Core Values, Guiding Principles" are the articles in this issue. "How To Deal With the Media"; "Recipe for Success and Survival as a School Superintendent: Learn the Culture of the Community"; and "10 Essentials for Effective Leadership" are the articles in this issue. "Thinking Strategically: Keeping the Big Picture in Mind;" "The Key to Raising Achievement: Four Guiding Principles;" "Communicating About NCLB: Knowing What the Public Thinks" are the articles in this issue. "Cultivating Relationships in the Land of Oz"; "The Collaborative Process of Developing a Vision"; and "Creating a Caring Community of Learners" are the articles in this issue. "Succeeding in Your First Superintendency: Six Principles for Success"; "The Real Challenge Begins Now"; and "Starting Out Right: Preserving Identity and Respect" are the articles in this inaugural issue.